Depart at 7am and enjoy a 2-hour drive to Ottawa. Upon arrival, visit Parliament Hill, the political and cultural center of Canada. 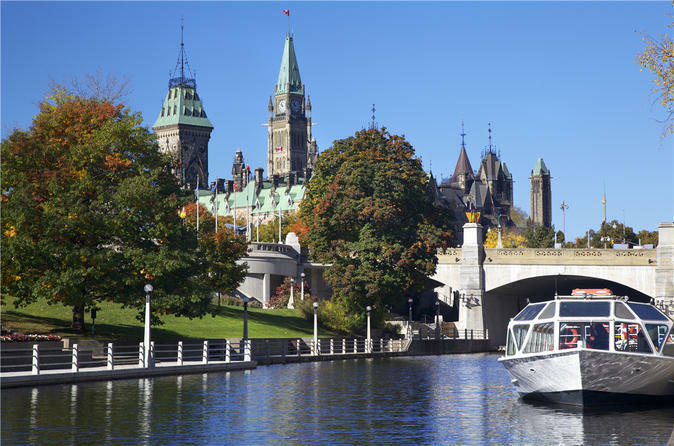 Enjoy sightseeing on the Ottawa River, which defines the border between the Quebec and Ontario province. After lunch (not included), you will visit the Canadian Museum of History - the most popular and most visited museum in Canada. You'll then head to Rideau Hall, the official residence as well as the principal workplace of the Governor General of Canada since 1867. As one of the National Historic Sites of Canada, Rideau Hall is a national gathering. Afterwards, you'll have the opportunity visit the Royal Canadian Mint, where all hand-crafted collector and commemorative coins, gold bullion coins, and medals and medallions are produced. This tour will depart Canada’s capital around 6pm and arrive in Montreal’s Chinatown around 8pm.